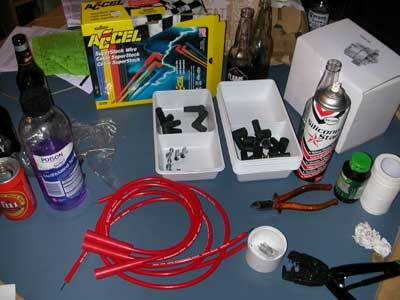 Here is a common sparkplug lead kit made by Accel. To be honest I was first disappointed as I was told it was a kit to suit my 302 which implys that it is made to suit. Where really its just a all purpose lead set which you make yourself. But good thing is that it's not very difficult and the leads themselves have a much better connection feel to them than off the shelf Bosh items from repco. This set comes with 4 long leads and 5 shorter leads. 1 of the short ones is for your dizzy, the others are for the font and long ones for the rear of the engine. You need find some meths and some silicon spray, some good side cutters and a crimp tool. The kit will have two sizes of crimps and boots, you need to check which ones suit your dizzy best and then seperate out the bits you need. Mine of course, were the small ones which are the hardest to fit. I started with one side of the engine at a time. Connecting the leads to the plugs and laying them up to the dizzy I could arrange and measure them to the kind of fit I wanted. Don't make them too tight as your dizzy need to rotate for timing purposes. Once they are marked you can cut them to suit. I marked them directly over each dizzy connection and then cut them about 15mm forward of this mark. Then using a craft knife to cut through the outer skin of the lead around your mark, by twising it you can break away the outter to leave the inner cable sticking out as in the photo above. Now, forget the crappy bit of lube that comes in the kit. Not even enough for to do one lead, it's crap anyway. You must have silicon spray to make this a frustration free zone. 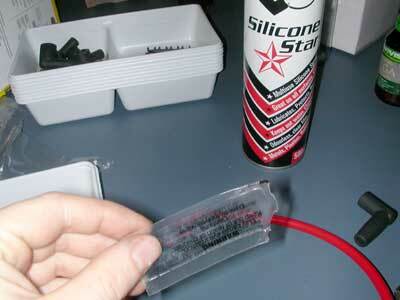 Spray silicon onto the end of the lead you've prepared. Then spray the inside of the boot. Then the lead should push into the boot relatively easily. Once it's through clean the end of the inner coil with a little bit of meths on a rag, I don't know if it matters or not but silicon insulating my coil lead isn't ideal. It just wipes off through. Then bend the inner coil over and back onto itself as above. The crimp then goes over the top of this. Use the plug crimp tool to crunch it all together. Don't be tempted to use plyers or anything else.. it doesn't work. You need to buy, steal, or borrow a crimping tool for this. 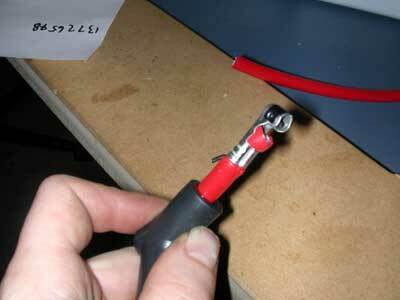 It nicely rolls the sides of the crimp and seals them together into the outer cable. 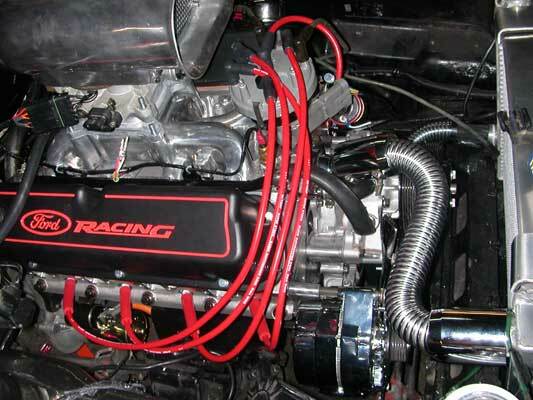 The finished example can then be pulled back into the boot and placed on the engine. Be careful to make sure you know your timing order and get the leads in the correct place. I did them one at a time so that nothing got mixed up. I was happy with the finished result. Now to do the other side..